This week Division 1 College Basketball programs across the country begin formal practices. More than any other area in the country, Philadelphia has produced some of the best “Bigs” since Dr. Naismith hung up that first peach basket while teaching at the YMCA in Springfield, Massachusetts. Wilt Chamberlain, Ray “Chink” Scott, Mike Brooks, Gene Banks, Eddie Griffin, Rasheed Wallace and many others have represented Philly on college hardwoods and beyond. However, casual fans, college basketball coaches and independent scouts frequently rave about “Philly guards.” Often overlooked and under appreciated, Philly guards usually find a way to infiltrate the nation’s conscience. Tyrone Garland’s “Southwest Philly Floater” captivated the nation’s attention during March Madness earlier this year. 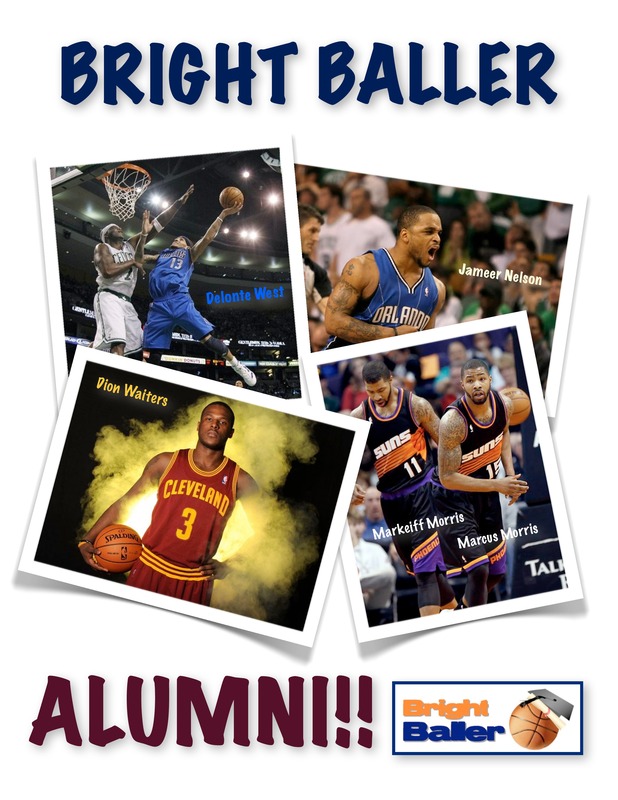 South Philly’s Dion Waiters shocked the so-called experts when he was the 4th player taken in the NBA draft after NEVER starting a game in college. Here, I want to shine some light on the “Philly Bigs” currently plying their trade at the collegiate level. My earlier ranking of Philly College Guards sparked a lot of heated debate. I fully anticipate a similar level of disagreement over these rankings. Please note that guys in JUCOs and current redshirts are NOT included because they will NOT be playing NCAA basketball this season. So guys like Savon Goodman, UNLV and Jamir Hanner, Buffalo are not listed even though their talent level clearly warrants inclusion. 1. 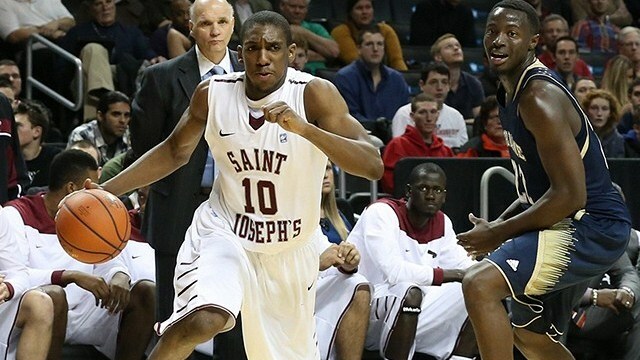 Ronald Roberts, Senior, Saint Joseph’s, 11.3 ppg, 8.3 rpg, 0.9 bpg last season. At 6’ 8” 220 lbs., Roberts is the most explosive player in the city and, perhaps, on the eastern seaboard. A determined rebounder with a relentless motor, he competes every single play of every game. One of the most prolific dunkers in recent memory, Roberts has gradually added subtlety and nuance to his game each off-season. While he relies primarily on sheer athleticism, he has developed a nice short range jump shot and added it to his offensive repertoire. If he can become a consistent mid-range jump shooter, he will be almost impossible to guard at the collegiate level. 2. 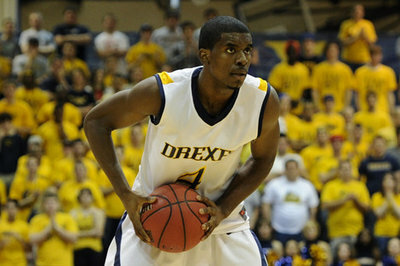 Jerrell Wright, Junior, LaSalle, 10.8 ppg, 6.7 rpg, 1.0 bpg last season. Jerrell is a very strong low-post presence. Standing 6’ 8” and coming in at a solid 240 lbs, he provides great balance to a LaSalle team that relies heavily on excellent guard play. Jerell is very good at establishing himself on the block. He is solid rebounder and shot-blocker as well. He has a variety of moves that enable him to be an effective scorer. If he can add an ability integrate countermoves finishing with his right hand, he will be a real problem for A10 defenses over the next 2 seasons. Tie 3. 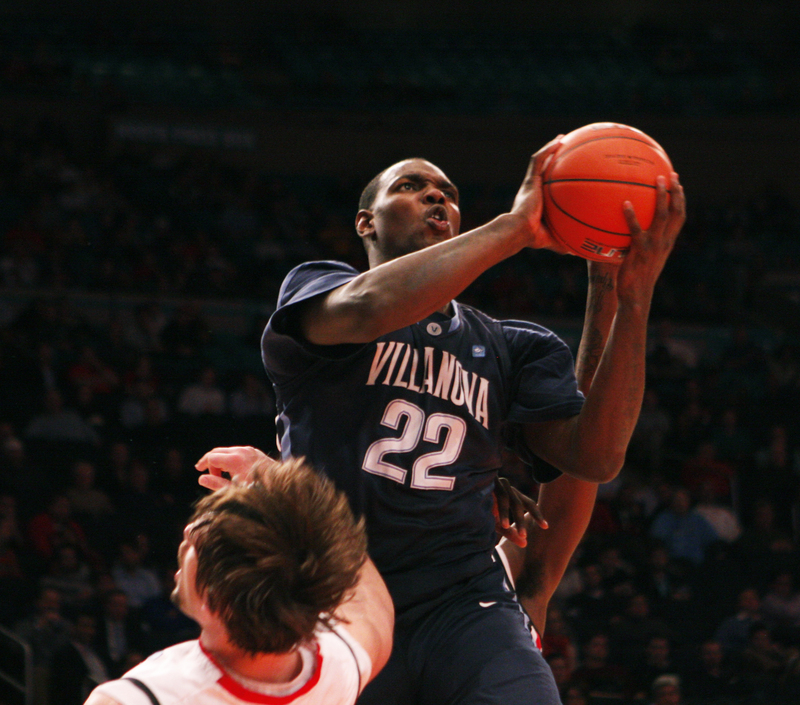 JayVaughn Pinkston, Junior, Villanova, 13.3 ppg, 5.0 rpg, 0.5 bpg last season. At 6’ 7” and 240 lbs., Pinkston is powerful athlete with solid ball-handling skills that allow him operate on the interior or the perimeter. He is good jump shooter who can hit an occasional 3-pointer. His forte, however, is using his strength and agility near the basket. Tie 3. 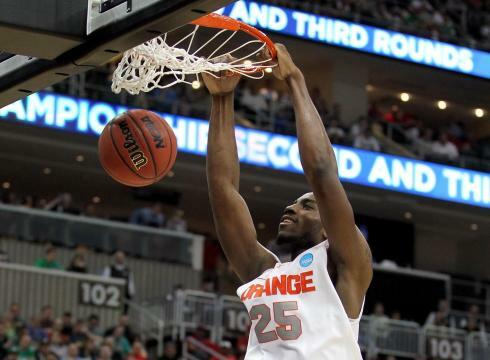 Rakeem Christmas, Junior, Syracuse, 5.1 ppg, 4.6 rpg, 1.8 bpg last season. By far, the most difficult player to assess. Undoubtedly, the most physically gifted player on the list. He only played 20 mins per game. His production has been well-below what was expected coming out of High School as a McDonald’s All-American. Blessed with great size and very good athleticism, I look for Christmas to establish himself as a dominant force in the ACC over the next two years. 4. 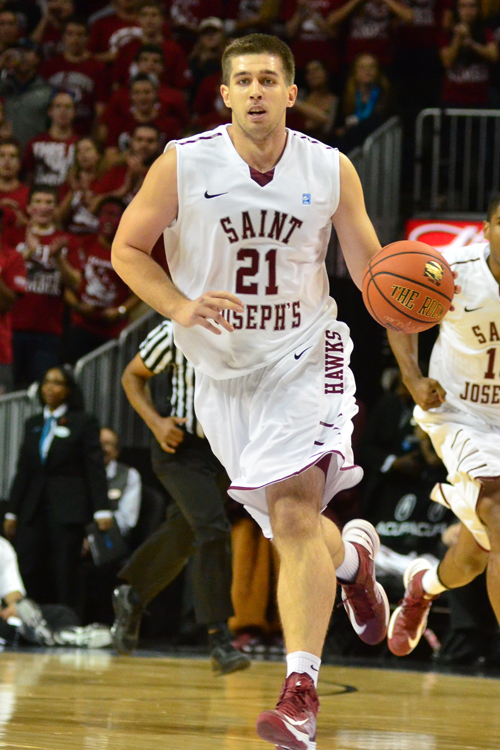 Halil Kanasevic, Senior, Saint Joseph’s, 8.5 ppg, 7.2 rpg, 1.7 bpg last season. A high skilled basketball player at 6‘ 7” and 258 lbs, Kanasevic brings a variety of assets to the Saint Joseph’s attack. A very capable ball-handler, Kanasevic brings the ball up the floor when needed. He is the best passer among all the “Bigs” on the list, as evidenced by his 3.5 assists per game. A capable scorer, Halil has outstanding footwork in the low post. His jump shot is respectable and he shoots 27% from the three point line. An very effective position defender, Halil averaged 1.7 blocked shot per game last season. If he can control his emotions and maintain focus this season he should be one of the better Bigs in the A10. 5. 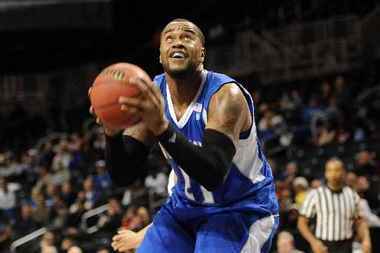 Gene Teague, Senior, Seton Hall, 11.2 ppg, 7.2, 0.5 bpg last season. An imposing physical presence at 6’ 9” and 270 lbs, Teague is traditional low-post, back to the basket “Big.” Blessed with soft hands, Teague is able to establish himself in the low post and finish with a variety of moves. A good athlete, Teague is able to run very well for a player of his size. A very good outlet passer, he is depended upon to ignite the Seton Hall fast break. If he can maintain his physical conditioning, he will be one of the premier “Bigs” in the Big East Conference this season. 6. Anthony Lee, Junior, Temple, 9.8 ppg, 6.8 rpg, 0.8 bpg last season. Possessing a very long wingspan and a deft touch around the basket, Lee scores on a variety of hook shots and short jumpers. At 6’ 9” he’s a little on the thin side, but he will continue to add muscle while maintaining his athleticism. 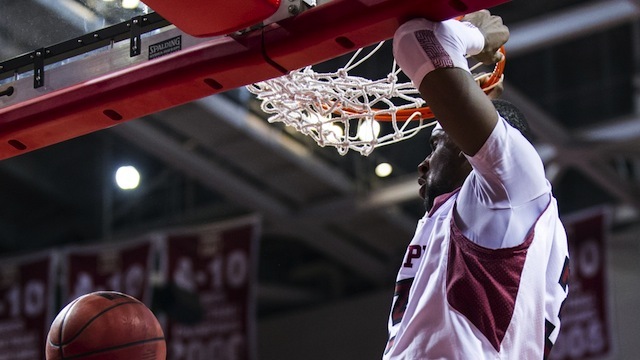 With the departure of one the most prolific scorers, Khalif Wyatt, in Temple’s illustrious history, Lee will be asked to provide more scoring this year for the Owls. I look for Lee to more than hold his own against Louisville, UConn and Memphis when they make their way to North Broad Street this season. 7. 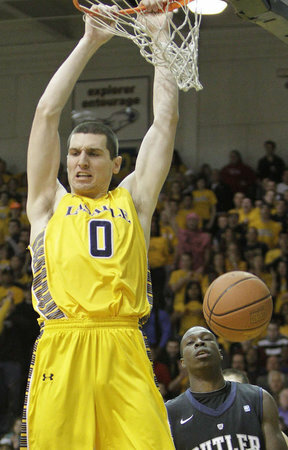 Steven Zack, Junior, LaSalle, 6.4 ppg, 6.4 rpg, 1.3 bpg last season. A true center, Zack has a tremendous upside. Still filling out his 6’11’’ 240 lb. frame, Zack provides a great front court compliment to Jerell Wright for the Explorers. A little raw offensively, Zack does his scoring very close to the basket. He runs the floor and battles for position every single play. If he can avoid foul trouble on a more consistent basis, I look for his production to increase substantially. It would not be a surprise to see his name mentioned as an NBA prospect, if he continues to develop over the next 2 seasons under the tutelage of Dr. G and the rest of the Explorer coaching staff. 8. 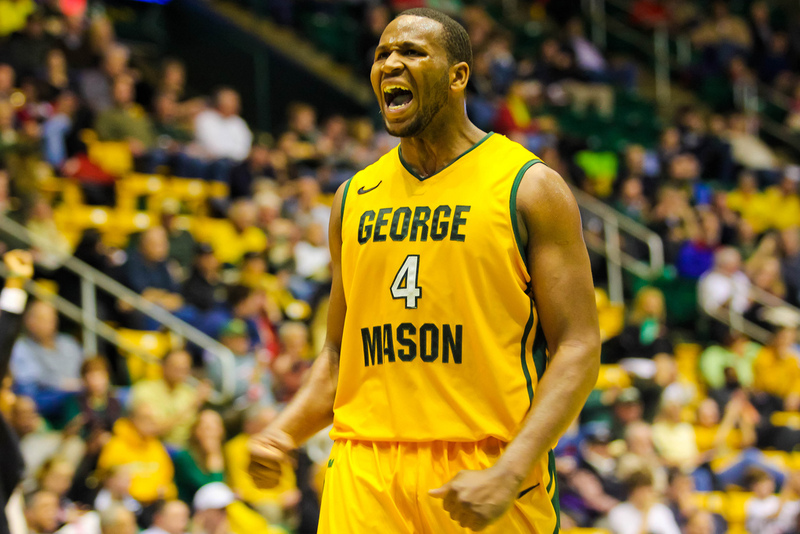 Eric Copes, Junior, George Mason, 5.9 ppg, 6.0 rpg, 1.1 bpg last season. Another traditional back to the basket big man, Copes provides a strong presence in the paint for George Mason. He started all 34 games last season and led the team in rebounding and blocks. While his offensive game is still unrefined, he very capable of finishing close to the basket. Copes has exceptional timing and consistently forces defenders to alter their shots at the rim. A very young (20 years old) college junior, Copes could evolve into a high level player in the A10 over the next 2 seasons. Tie 9. 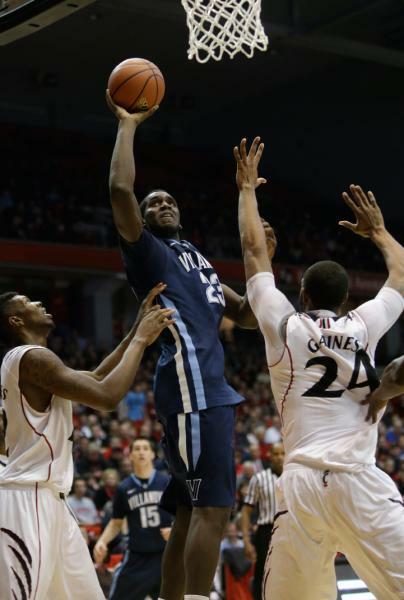 Daniel Ochefu, Sophomore, Villanova, 3.5 ppg, 4.1 rpg, 0.7 bpg last season. While backing up Mouphtaou Yarou last season, Ochefu was limited to 17.5 minute per game. Look for his production to increase substantially with Yarou’s departure. At 6’11” and 240 lbs, he possesses all of the physical tools to be a dominant big man in the Big East. Still learning the game, he will play an important role for the Wildcats this season. Where will Amile play? How much will Amile play? No one can argue against the fact that he is one of the MOST talented Philly kids in college basketball. But a player has to actually play. At Duke, Jefferson played less than 13 minutes per game. Will he play on the wing? Will he play in the post? 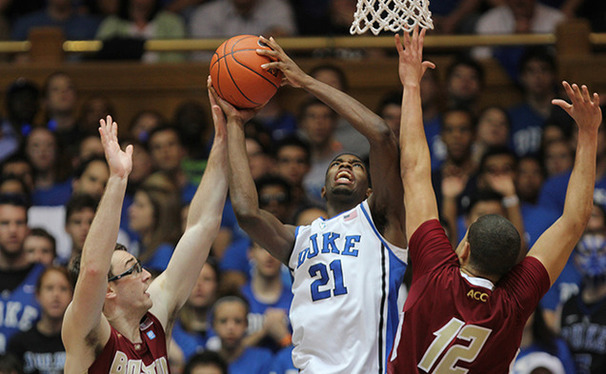 “I think Amile can play any number of positions. He’s a guy that can play both frontcourt positions, he can play on the wing, he’s a basketball player,” associate head coach Steve Wojciechowki said. I’m including Amile here because he has made an effort to gain weight over the summer. Duke has landed the highly recruited Jabari Parker and he expected to play heavy minutes in the front court. Amile supporters recall his days as a McDonald All-American. College basketball fans are anxiously waiting for the potential to manifest itself in the ACC. 10. Daniel Stewart, Senior, Rider, 10.6 ppg, 7.2 rpg, 0.7 bpg last season. Coming in at 6’6” and 215 lbs, Stewart is an undersized Big who relies on quickness and exceptional athleticism to compete against much larger opponents. An outstanding leaper, he is known for finishing with power and force at the rim. Stewart does an exceptional job rebounding and defending the basket for Kevin Baggett’s Rider Broncs. If Junior Fortunat can continue to develop as a low post presence, look for Stewart to expand his game and flourish as an offensive force during his senior season. 11. Marcus Kennedy, Sophomore, SMU, redshirt last season. 12. 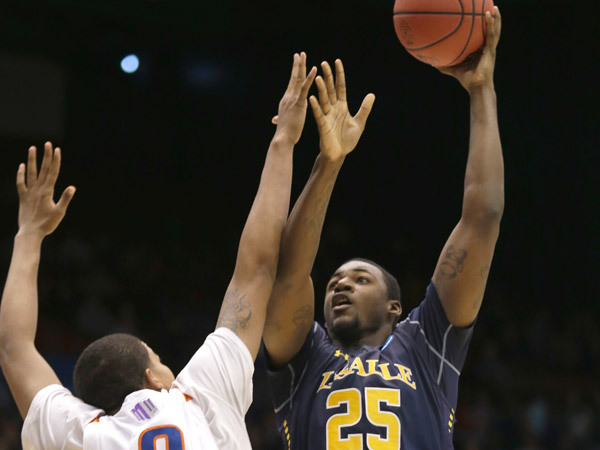 Dartaye Ruffin, Senior, Drexel, 6.9 ppg, 6.8 rpg, 0.7 rpg last season. 13. Fran Dougherty, Senior, Penn, 12.8 ppg, 7.5 rpg, 1.1 bpg last season. 14. Will Barrett, Senior, Princeton, 9.3 ppg, 4.7 rpg, 0.7 bpg last season. 15. 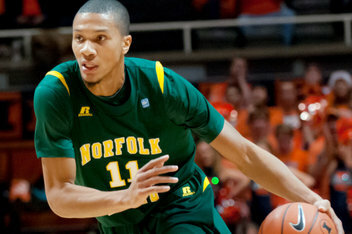 Shaquille Duncan, Junior, Morgan State, 7.3 ppg, 4.1 rpg, 2.2 bpg last season. 16. Malcolm Gilbert, Junior, Fairfield, redshirt last season. 17. John Davis, Freshman, Towson, high school last season. 18. Jeremiah Worthem, Freshman, Robert Morris, high school last season. 19. 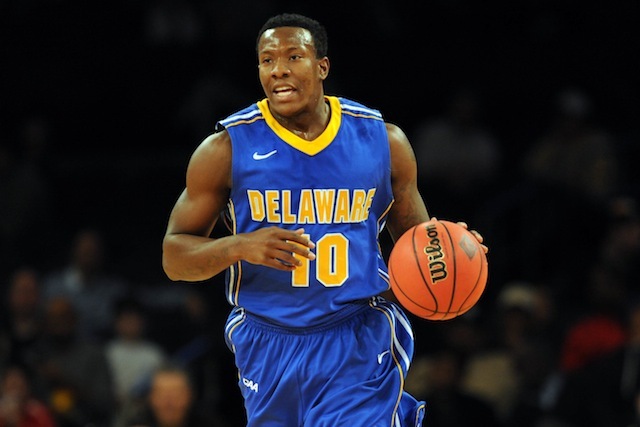 Carl Baptiste, Senior, Delaware, 4.0 ppg, 4.2 rpg, 0.4 bpg last season. 20. 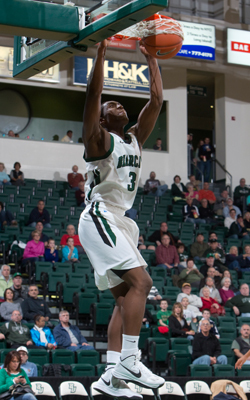 Junior Fortunat, Junior, Rider, 4.1 ppg, 3.5 rpg, 0.6 bpg last season. 21. Xavier Harris, Junior, Fairleigh Dickinson, 4.1 ppg, 3.3 rpg, o.4 bpg last season. We are in the midst of a distressing and depressing era of public education. The City of Philadelphia does not have the resources necessary to adequately educate it’s public school students. Public officials, in a desperate attempt to raise money for things like paper, pencils, glue, crayons and rulers, are trying everything short of a “fish fry” and a black light “rent party.” Mayor Michael Nutter has announced the formation of the Philadelphia Education Supplies Fund to raise cash for the Philadelphia School District. Also, Interstate General Media, publisher of philly.com, The Inquirer and The Daily News, is teaming up with Global Citizen, the city-based civic engagement organization, to gather the aforementioned school supplies from public donations through Oct. 25. Consequently, those of us interested in motivating young people to remain focused on academic pursuits are being challenged to think outside the “box.” The box, after all, is empty. For the past fifteen years, I have helped some of the finest Philadelphia high school students and student-athletes prepare for, and transition to, college. Over time, the process has become much more difficult and challenging. While college admission requirements and NCAA eligibility standards have become more restrictive, resources available to Philadelphia’s students have been drastically cut. The outcomes of these trends are easy to predict. Looking toward the future, Pennsylvania has allocated $400 million for the construction of a new prison complex, while the School District of Philadelphia faces a $300 million budget deficit. As a society, we have decided to prepare for the days when we “catch” the current crop of underserved schoolchildren engaging in delinquent and criminal behaviors. 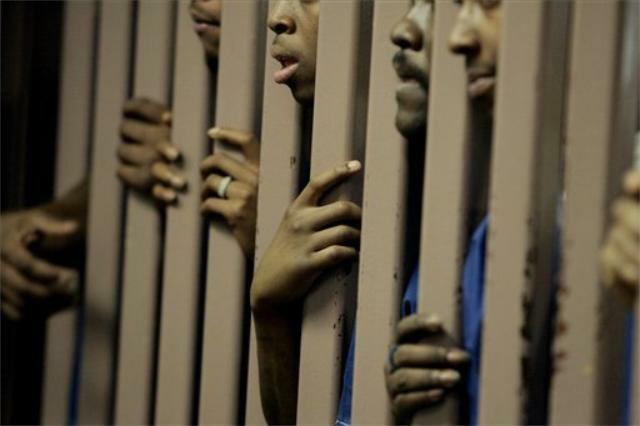 Sadly, in Philadelphia the path to incarceration is much easier than the path to higher education. The primary objectives of this joint venture are to expose hundreds of Philadelphia area students and student-athletes to the college application and admission processes, educate them about NCAA and NAIA eligibility requirements and help them accurately assess their own individual predicaments. If students and parents understand the requirements in 6th, 7th and 8th grade, they will be far more likely to meet them in 12th grade. Indeed, the Bright Baller myGZpoints.com partnership will provide tangible rewards to students who pass all of their classes and attend school on a consistent basis. 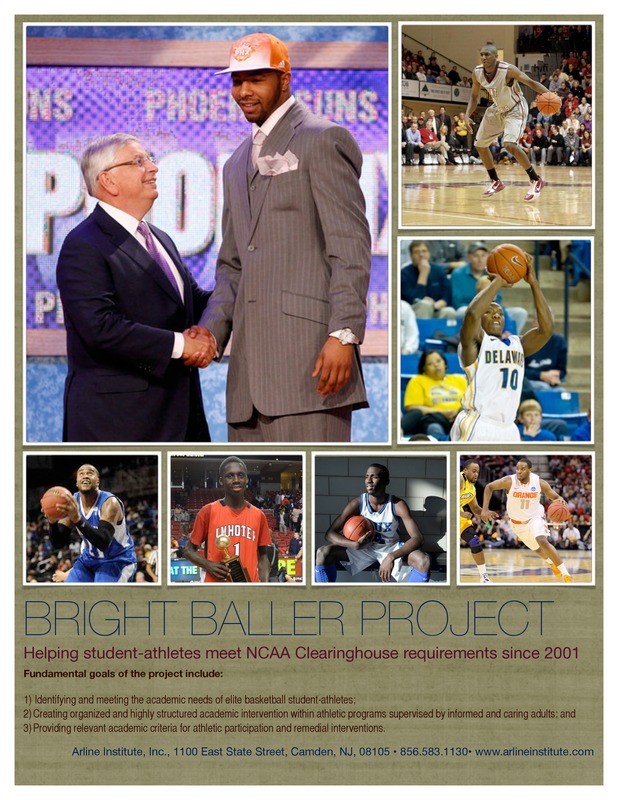 The aim is to “catch” and reward young students and student-athletes for doing the right thing. Positive behaviors will be rewarded early and often. On far too many occasions, students and parents become aware of the requirements after it’s too late to improve grades and test scores. This problem will only become worse under current conditions. Many School District of Philadelphia high schools no longer have guidance counselors, assistant principals, or other critical staff positions. Pennsylvania’s public officials are preparing for the logical outcome of these deficiencies. This past summer, the District terminated 3,783 employees or just about 1 out of every 5 people who work daily with our kids. Meanwhile, the Pennsylvania Department of Corrections is currently recruiting Air Conditioning & Refrigeration Vocational Teachers, Corrections Barber Instructors and, of course, Corrections Officer Trainees. Clearly, the state is ready to intervene and “catch” young people when they go astray. But, what about the majority that are trying to achieve academically and make a positive contribution to society? Who is going to advise college bound students? 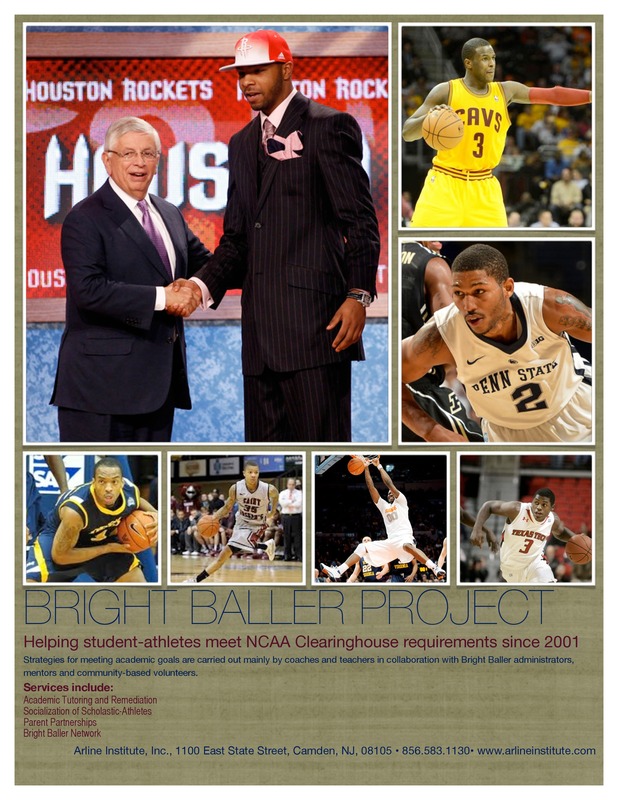 Who is going to ensure they are taking courses that will lead to NCAA eligibility? The Bright Baller myGZpoints.com partnership will not be able to help everyone. However, if HS, AAU and youth organization coaches are willing to participate in the program we will help a lot of students and parents understand what they need to accomplish. With the college hoops season right around the corner, there are many local story lines worth following. The Philadelphia region is, arguably, the finest place in America to watch amateur basketball. Every year, Philadelphia produces a plethora of high school players that go on to make an impact at the collegiate level. Also, there are always a few that come from other areas to make some serious noise at one of the area Division 1 programs. More than any other position, the focus is always on “Philly Guards.” They are known for toughness, tenacity and playing with a chip on their shoulder. What follows is a ranking of college guards, either from Philly or playing at one of the Philadelphia area college programs. I am sure there will be MAJOR disagreement over the place of some players. Please feel free to let me know where you think I went wrong. 1. Tyreek Duren, Senior, LaSalle, 14.2 ppg, 3.3 apg, 2.9 rpg last season. At 6 ft, 180 lbs., Duren is the consumate floor general. He plays within himself at all times. Duren is never flustered and runs John Gianni’s offense with precision. An exceptional ball-handler, he consistently finds his teammates good looks. When needed, Duren delivers big shots. 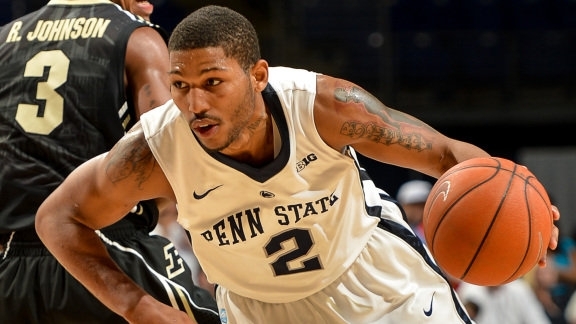 The prototypical Philly guard, Newbill does everything well. Standing 6’4” and weighing a solid 205 lbs., he strong and athletic. Forced to play point guard after a season ending injury to Tim Frazier, Newbill excelled. One of the top returning scorers in the Big Ten, having finished fourth (16.3) in 2012-13, DJ enters his junior season with nearly 800 career points, 11 20-point games and 41 career double-digit scoring outings and a chance to join the list of Penn State’s 1,000-point scorers. An explosive scorer, Saddler has been the focal point of the Delaware offense for the past three season. A sturdy 210 lbs, he is simply too strong for most opposing guards. Saddler has solid ball handling skills. While he is a decent shooter, he can be streaky at times. His strongest asset is his ability to get off a shot, seemingly, at will. He is fearless and competes every second of every game. Saddler will surely past the 2,000 point plateau early in his senior season. An excellent all-around player, Galloway doesn’t have a real weakness in his game. While he is known primarily as a long-range shooter, he has very solid ball-handling and passing skills. For the past three years, he has been assigned the task of defending the best wing player on the opposing team. A fierce competitor, Galloway gives a full effort every time he sets foot on the court. A sneaky athlete, Galloway possesses an under-appreciated level of athleticism. He is capable of finishing with authority around the rim with relative ease. A big point guard at 6’4” 180 lbs, Massenat is an excellent floor general. Thrust into a leadership role immediately upon his arrival three years ago, he has evolved into one of the premier guards in the CAA. A solid shooter, Franz excels at penetrating opposing defenses and finding his teammates on the wing or finishing at the rim. 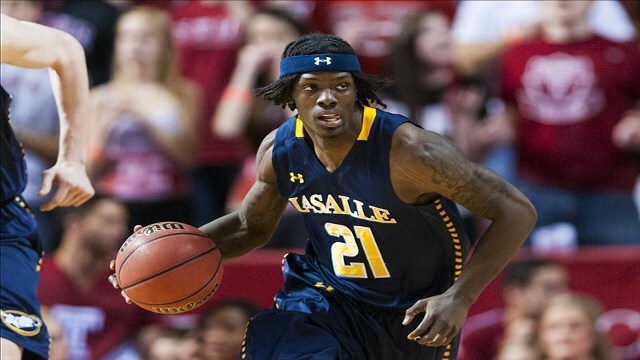 Thrust into the national limelight when his “Southwest Philly Floater” sent La Salle to the Sweet 16 with a thrilling 76-74 win over Mississippi, Garland is a well known commodity among Philly hoops aficionados. An aggressive offensive player, he has excellent lift on his jump shot enabling him to get it off against taller defenders and in traffic. Garland brings a high level of toughness to the LaSalle backcourt. Look for his offensive production to increase significantly with the graduation of Ramon Galloway. A big, strong, pass-first point guard at 6’3” 205 lbs., Minnis is set to have a impact on the Atlantic 10 Conference after sitting out last year following a transfer from Texas Tech. He spent last season being tutored by Bobby Hurley, arguably, the greatest college point guard over the last 25 years. Blessed with exceptional court vision and a tight handle, Minnis will look to push the ball for Danny Hurley’s Rams this season. 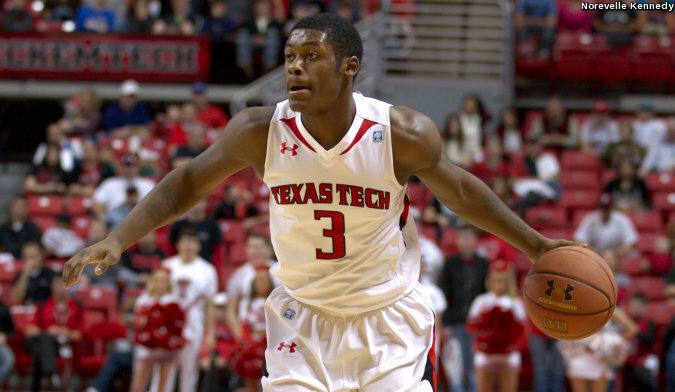 Exploding on the college basketball scene as freshman, Reed nearly averaged a double-double. A next-level athlete, Reed finishes around the rim with authority. 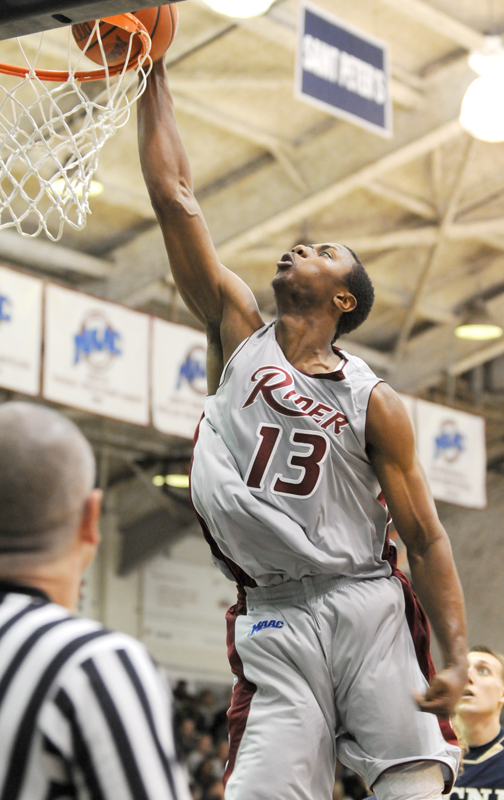 Known for dunking over much taller opponents, Reed is already one of the top players in the America East Conference. As he develops his outside shooting and refines his ball-handling skills, Reed has chance to become one of the players in the country. The MEAC Player of the Year, Williams has exceptional size for a guard at 6’6.” Capable of playing on and off the ball, he is a good shooter and solid ball-handler. A very good athlete, He has been mentioned as potential NBA draft pick. 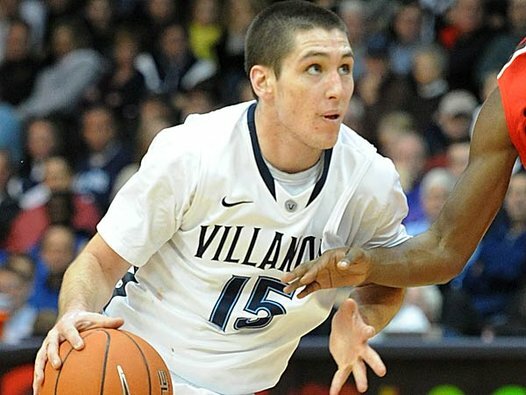 Thrust into a leadership role following the early departure of Maalik Wayns to the NBA, Arcidiacono led Villanova in minutes played (34.0 mpg) and assists (3.5 apg). He was a unanimous choice to the BIG EAST All-Rookie team and was named Rookie of the Week four times. An exceptional ball-handler, he benefitted immensely from playing heavy minutes as a freshman. It’s a Set up!! The Public Educational “Game” is Officially Rigged in Pennsylvania!! Young fella, the educational crisis in Philadelphia’s public schools has received a great deal of attention in the national and local media. The $300 million dollar budget deficit, the school closings and the massive teacher layoffs have been extensively debated. Ms. Jones, your favorite NTA, Mrs. Williams, the music teacher, Mr. Jenkins, the guidance counselor that exposed you to the world of HBCUs, they’re all gone. Along with over 3,000 of their peers, they have been terminated. It’s bad, real bad young fella. Much worse than when I graduated about 30 years ago. A general consensus has been reached: Public Education in cities like Philadelphia is in critical condition. Some contend it’s on it’s deathbed. The media tends to frame the debate in the following manner: Should financially strapped public school districts and and their supporters focus attention on how to provide quality schooling with, admittedly, dwindling and insufficient resources? Or, alternatively, should school districts and their supporters continue waging [losing?] a struggle to gain additional public funding? However, very few analysts and commentators view the situation from the most important perspective. What you, your Mom and your Dad do? What should you and your parents be considering? What factors should you weigh as you make educational placement decisions? Please consider this open letter a warning! Please be careful, be very careful. The educational landscape is changing. While the focus of the public debate has been on yet another budget crisis, there has been a HUGE political shift as well. While this political shift has not received the same level attention as the recurring budget crisis, the long-term consequences will be much more impactful. Plainly stated, if you do not make informed and careful decisions regarding school selection, you will be excluding yourself from the possibility of higher education and relegating yourself to life time of low-wage employment or worse. In many ways, it’s a classic set-up. Young fella… pay close attention! Beginning in 2017, most low-income minority students attending traditional neighborhood public schools in places like Philadelphia, Chester, Reading, Coatesville, Harrisburg and Lancaster will NOT graduate from high school. I am not suggesting they will drop out of school. Although that is a huge problem in and of itself, I am referring to students that stay in school and complete the 12th grade. Most Black and Latino students in large urban districts will not graduate with a diploma beginning in 2017. Now, why would I make such a sad and pessimistic prediction? A year ago, the Pennsylvania State Board of Education approved a controversial plan to require all Pennsylvania students to pass proficiency tests in science, math, and language arts before graduating. If approved, the standards would take effect with high school graduates in 2017 (current 10th graders), and require them to demonstrate proficiency in Algebra I, Biology I, and language arts on the Keystone Exams or a state-approved assessment alternative. By adopting this requirement, Pennsylvania has become part of a larger nationwide trend. The Common Core standards have been adopted by 45 states and the District of Columbia. These standards are ardently backed by the Obama administration which contends that outdated and inconsistent guidelines leave students ill prepared for college and the work force. In effect, the argument is that by implementing tougher standards, the schools will rise to the occasion we will see an increased level of academic performance. What is too often left unsaid is that requiring low-income urban students who have spent their formative years in highly dysfunctional underperforming schools to demonstrate proficiency in these subject areas is a set-up for failure. Over 85% of Philadelphia 214 public schools are currently listed as “low achieving” based on student performance on Keystone Exams or state-approved assessment alternatives. We know that a vast majority of these ill-prepared low-income minority students will not be able to meet these standards. It is equivalent to strapping a 50 pound weight on their backs and demanding that they beat Usain Bolt in a 100 meter dash. The outcome can be predicted with absolute certainty, they won’t win. The early results in other major cities forecast the coming Philadelphia storm. New York was one of the first states to develop tests based on the Common Core standards. The results, predictably, were abysmal. In math, 15 percent of black students and 19 percent of Hispanic students passed the exam, compared with 50 percent of white students and 61 percent of Asian students. 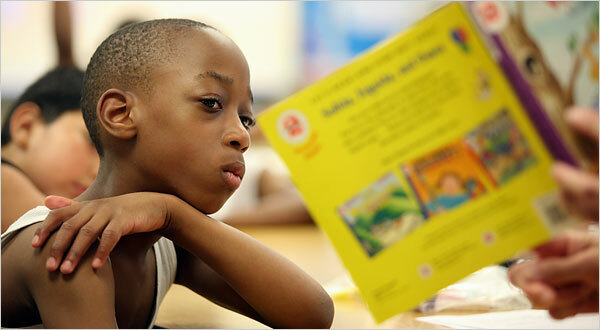 It is widely accepted that children reared in low-income Black and Latino neighborhoods are at a disadvantage in standardized testing, not because of inborn capacity but because of cultural differences and economic deprivation. Now, under the new plan, these students will be labeled “not proficient” and barred from “graduating” high school. Young fella… most of your homies and many of the young ladies in Philadelphia’s neighborhood high schools are going to earn “certificates of attendance” not high school diplomas! Within the School District of Philadelphia only special-admit magnet schools have been able to consistently make Adequate Yearly Progress (AYP). Adequate Yearly Progress, or AYP, is a measurement that allows the US. Department of Education to determine how every public school and school district in the country is performing academically according to results on standardized tests. In recent years, 10 out of 58 (17.2%) Philadelphia public high schools made AYP. They were all special-admit magnet schools. In recent years, zero (0%) traditional neighborhood public schools have made AYP. Most have failed to make AYP for 9, 10 or 11 years. In many instance, students are attending schools that have not made AYP since the measure was implemented in in the 2001-2002 school year. So, young fella, let’s get this straight… The state of Pennsylvania will be requiring students that have spent every day of their educational careers in under-performing and failing schools to demonstrate proficiency on standardized tests in order to graduate. 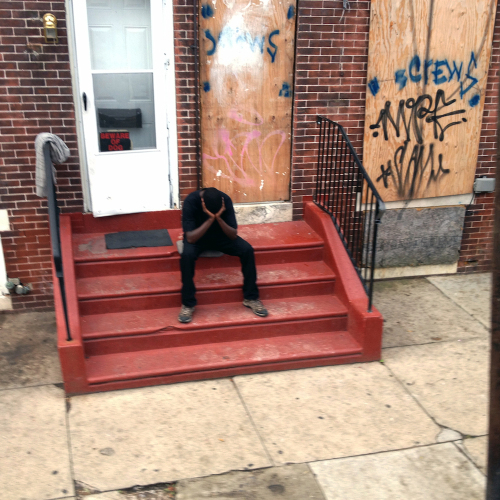 Over the past 12-13 years, zero (0) neighborhood high schools in Philadelphia have made AYP. Adequate Yearly Progress is based primarily on standardized test performance. On top of that, they have laid off over 3,000 teachers in the last 12 months. Young fella, it’s a set up! As noted earlier, those unable to demonstrate proficiency will likely receive a “certificate of attendance” in lieu of a diploma. What will be the value of the certificate of attendance? Will colleges accept this as evidence of completing high schools? 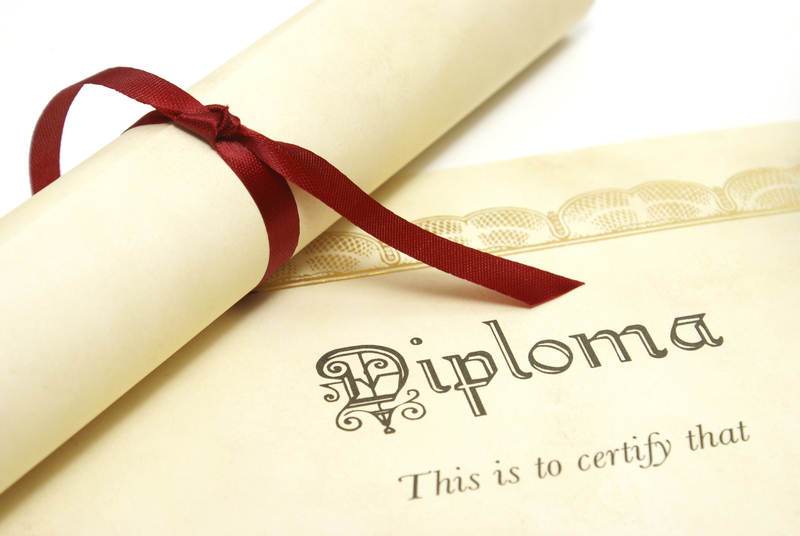 How will employers interpret this as opposed to a diploma? It is safe to assume that the results in Philadelphia, Yeadon, Darby, Darby Township and Chester will mirror the result in New York City. The overwhelming majority of low-income minority students in public high schools will not meet the standards. Unfortunately, the fact is they have not been able to meet the standards for the past 12-13 years. What can you and your parents do? If you are not enrolled in a special-admit magnet public school like Masterman, Central, Science Leadership Academy, Palumbo, Carver or Bodine you need to find an high-quality alternative placement. Indeed, even parents of students in magnet schools may need to consider their options. A year ago, it was announced that the libraries at Masterman and Central, the two highest achieving high schools in Philadelphia, have been closed due to budget cuts. The State of Pennsylvania and the City of Philadelphia are financially strangling the students in Philadelphia’s public schools. Young fella, how are these ‘high-achieving” college bound students going to do research and independently pursue areas that interest them without access to libraries? Can you see it? It has all the marking of a set-up. With this plan in place, most of Philadelphia’s low-income Black and Latino public school students will be labeled as non-graduates. That is not taking into account the more than 50% percent that drop-out of the system altogether. Again, let’s use the NYC results as a guide. If 15% of the students meet the requirements for graduation and 50% or so dropped out before even taking the test, then only about 7.5% of Philadelphia’s low-income minority public school students will be actual high school graduates. The other 92-93% will be relegated, at the age of 18 or 19 to a lifetime of low-wage, low-skilled labor, excluded from institutions of higher learning, prone to participate in the underground economy and as a result far more likely to encounter the criminal justice system. Unfortunately, there will be students with A and B averages that cannot meet the standards because they have attended failing schools throughout their entire educational careers. My strong recommendation is that you and your parents immediately research their options. Take some time to learn about the Independent Private Schools, high achieving Charter Schools and Catholic Schools. We have reached a point where leaving your child in a traditional neighborhood public school is tantamount to child abuse. Yes, many of these options will require financial sacrifice. But, the alternative is simply unacceptable. Remaining enrolled in a traditional neighborhood high school could very well lead to a lifetime of financial sacrifice. Many critics charge that the state doesn’t care about the children and they don’t plan for their future. I vehemently disagree. The state is clearly planning for the their future. Pennsylvania has extensive plans for low-income minority children. Please keep in mind, Pennsylvania is spending $400 million to construct two new prisons at the SCI-Graterford site in Montgomery County. The funds are in addition to the $1.8 billion corrections budget signed by Governor Tom Corbett, an increase of $208,000 from last year. For information information on alternatives to Philadelphia Public Schools, contact me at delgrecowilson@outlook.com. 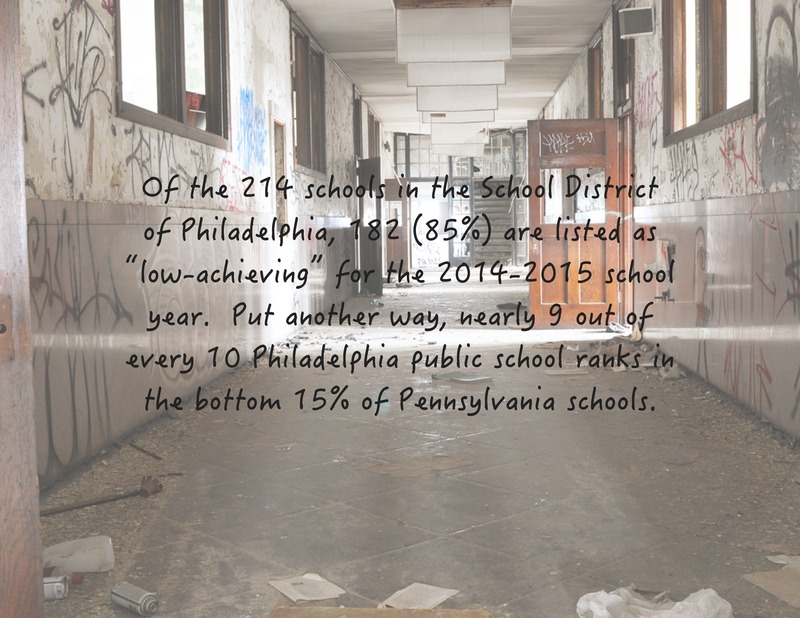 Unfortunately, Philadelphia’s public school students have very little to look forward to this year. As they return to school this week, they will encounter a radically reconfigured school district. Over the past few months, 24 schools have been shuttered and 3,000 employees have been laid off. The consequences of this reconfiguration are significant. Over 9,000 students will attend a different school than they attended last year. An astonishing 60% of public schools will not have a guidance counselor on staff. There have been numerous reports of class sizes reaching into the 40s. The well-publicized $304 million dollar budget deficit has led to shortages of teachers, support staff and basic necessities like paper. These are truly dark educational times in Philadelphia’s public schools. 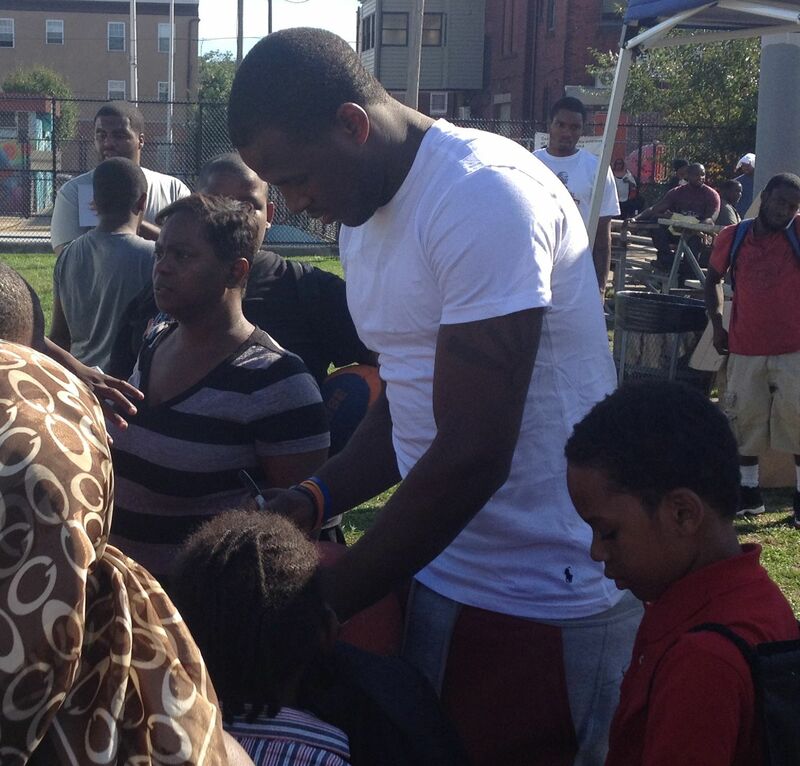 Born and raised in South Philadelphia, Waiters has concentrated his early philanthropic efforts on serving children in his childhood neighborhood. This summer he supported the Point Breeze Youth Development League and co-sponsored the Dream Chasers Sports & Entertainment Summit. The “Back2School Book Bag Give-a-Way was organized in conjunction with the office of Councilman Kenyatta Johnson and the Point Breeze Youth Development League. As Waiters prepares for his 2nd NBA season, he looks to improve on his All-rookie performance last year. 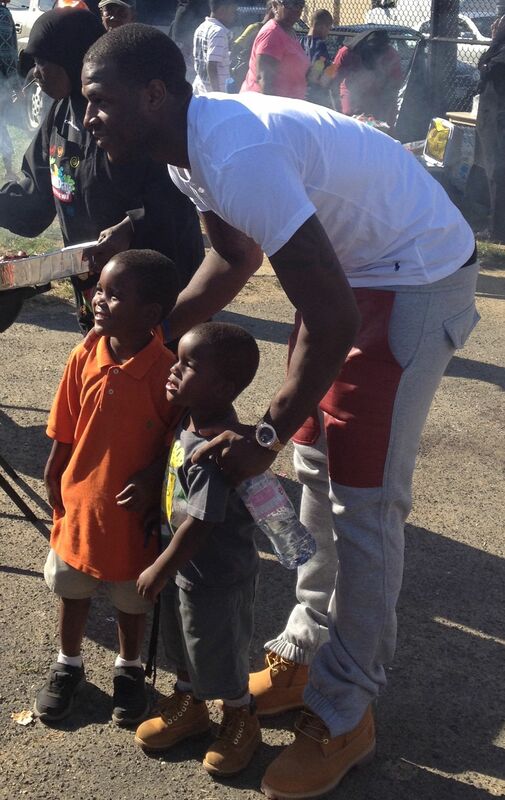 Off the court, the young man is already an All-Star. The coaches have been contacting you for months. The tweet, texts, direct messages, facebook hits seem endless. One thing is clear, they want you to come play basketball for them. They have explained how you fit into their plans and their system. Now, they are coming to visit you at home and you are taking official visits to their campus. They are going to show you the campus, the arena, the locker room, the media room, the weight room, the practice gym, the dormitory, the cafeteria and the pretty girls. It all feels right. You are ready to commit. At this point, you should ask one VERY important question: Coach, do you graduate your players? When he gives you a response don’t just take his word for it. Together with your parents and advisors check the record. The Academic Progress Rate is a Division I metric developed to track the academic achievement of teams each academic term. Each student-athlete receiving athletically related financial aid earns one retention point for staying in school and one eligibility point for being academically eligible. A team’s total points are divided by points possible and then multiplied by one thousand to equal the team’s Academic Progress Rate score. The above chart lists the A10 programs in order, highest average APR to lowest average APR over an 8 year period spanning 2004-2012. Using this chart, parents and potential recruits can compare the level of academic achievement across A10 programs. Also, the average APR data for all Division 1 Men’s Basketball Programs is included for comparative purposes. Within the A10 Conference, only 4 programs, Fordham, Duquesne, Massachusetts and St. Bonaventure have APR averages below the APR average for all Division 1 basketball programs. This information is very useful to parents and students weighing scholarship offers from multiple universities. It provides a way of quickly gauging a program’s ability, over time, to retain players and keep them on track to graduate. The Black Cager will provide this information for all Division 1 Conferences over the next few weeks. 2004-05 2005-06 2006-07 2007-08 2008-09 2009-10 2010-11 2011-12 2004-08 Avg. A graduate of Philadelphia High School for Girl’s, Tracey Stanton-Wilson has maintained a life-long commitment to public education. 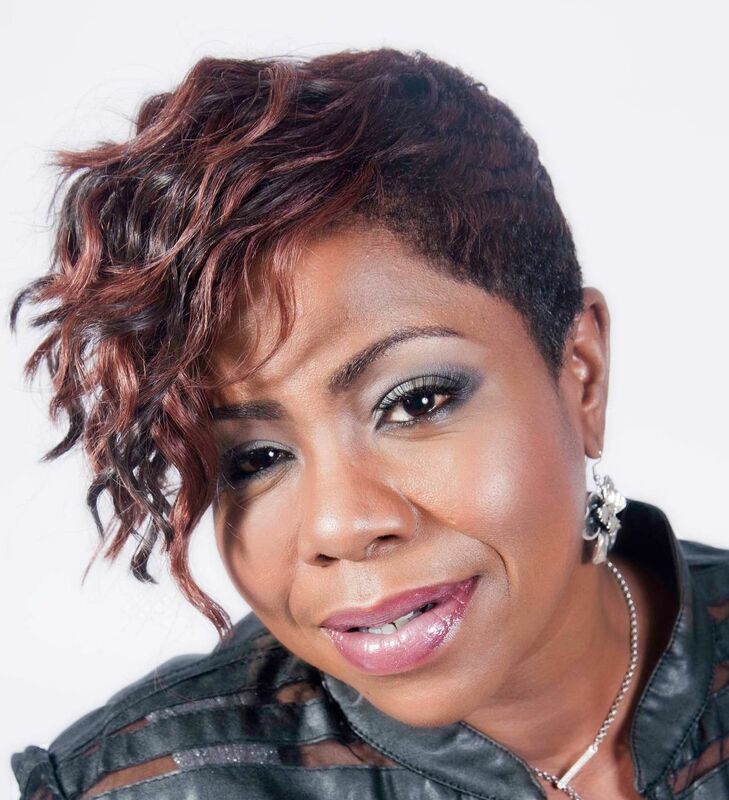 Her husband, Darrell Wilson graduated from Lamberton High School in Philadelphia’s Overbrook section. Her oldest son Kyle, attended Universal Charter for middle school and graduated from Preparatory Charter HS before heading off to college. Last fall, as she was assessing the options for her then 8th grade son Darrell, Jr. she focused exclusively on public and charter schools. That is, until she received a phone call. In February, a family friend called and invited Tracey to attend a “focus group” being conducted at West Catholic HS. At first, Tracey was hesitant because she assumed that the cost of Catholic HS would be prohibitive. With her oldest in college and her daughter in a full-day private preschool, educational expenses were already presenting a challenge. There was no way, she felt, that she could afford the tuition to Catholic HS. Nonetheless, her friend encouraged her to attend the focus group and let them know that financial considerations were the primary barrier for her family. After all, the aim of the focus group was to identify issues and concerns Philadelphia’s parents have about Catholic High Schools. The Faith in the Future Foundation was trying to gain a better understanding of issues faced by parents of school-age children. During the focus group, Tracey and 14 other parents were provided with information regarding West Catholic High School academic programs and Catholic education in Philadelphia. They were also asked a series of open-ended questions about their school selection processes. What were the factors influencing their selection? Was Catholic education a viable option? If not, why not? Tracey was very impressed with responsiveness of moderator, Patti Boyle from the Faith in the Future Foundation as well as the West Catholic HS Director of Admissions, John Jenkins. So much so that, along with several other parents, Tracey completed an application for admission and financial aid. However, she remained concerned about the cost. Could the Faith in the Future Foundation provide enough aid to make attending West Catholic feasible? Over the next few months, she maintained constant contact with Mr. Jenkins. When the initial financial aid offer was not sufficient to meet her family’s needs, Tracey was disappointed and she let him know. Mr. Jenkins was committed to identifying additional sources of financial aid for Tracey. Through their ongoing dialogue, he came to realize that she was exactly the kind of parent, and that they were the type of family, he wanted to attract to West Catholic. She was committed and passionate about education. She was willing to sacrifice financially to ensure her child access to a high quality safe learning environment. Tracey had a history of “choosing” strong educational placements. As a student, she “chose” to attend highly competitive Girl’s High. As a parent, she enrolled her oldest son in Prep Charter, one of the better performing Philadelphia Charter High Schools. With Darrell, Jr. she was ready to choose Catholic education. While she remained committed to public education, Tracey was very concerned about some of recent developments within the School District of Philadelphia. Facing a $300 million structural deficit and still uncertain whether it will get the increased revenue and labor concessions it was seeking, the School District was asking schools to prepare to operate next year with a principal and a bare-bones allotment of teachers – and just about nothing else. The District sent ended up sending 3,783 layoff notices to assistant principals, teachers, counselors, noontime aides and others. Tracey considered the consequences. That meant the contractual maximum class size in every classroom, 33 or more students in every classroom. It meant no dedicated money for guidance counselors, interscholastic sports, extracurricular activities, librarians, art or music. No money, even, for secretaries. After much discussion Tracey and Darrell, Sr. decided they had to make a decision that was in Darrell, Jr. best interest. As concerned residents of the Grays Ferry community, they remain supporters of efforts of Universal Companies at Vare Middle School and Audenreid High School. However, if they could negotiate a workable financial arrangement, they would send Darrell, Jr. to West Catholic Preparatory High School.